When we meet someone for the first time, it is nice to start off on the right foot. We search for common interests, discussion topics, and try to take an interest in each other’s lives. A cardinal error in the interviewing process is the inability to separate friend from employee. When you meet someone who could be your new best bud at the office, it can be difficult to reject that candidate. Just because the person you are interviewing is so much like you, that does not always mean they would make the best employee. In a recent article, Rivera (2012) discusses the epidemic that occurs when employers are looking for cultural similarities between the candidate and themselves. In particular, she reviews research on interpersonal dynamics. Overall, the research shows that similarity is one of the biggest factors influencing attraction during evaluation. This includes interviews, thus the reason we are interested, which means that applicants with similar interests and backgrounds as their interviewer have a greater chance of being hired solely based on commonalities with their employer. In the world of IO Psychology, this is referred to as the “Similar to Me” bias. The problem with this trend is that businesses across the country are finding themselves with a staff constructed of those with identical interests and talents. A company needs diversity in all divisions to truly thrive. If everyone working with you possesses the same strengths and weaknesses, there will be no one to balance out the other side of the company’s needs. For instance, I am an extremely detail-oriented person and have little to no creative ability. Due to this, I really appreciate people who also have an eye for detail and enjoy having those types of employees around. On the other hand, I have to remind myself that if our company only had nitpicky people working here, we would never get anything done. Although creative people think very differently than I do, our company could not function without “big-picture” people keeping us on track and brainstorming new ideas every day. A company’s employees must always be diverse enough to balance both sides of the equation and focus on hiring the right person for the job, not the right person to be friends with. This way, as you head into the interview, you are aware of the traits and qualities of your desired employee. If you are looking for more creative energy in the office, do not hire another detail-oriented candidate just because you get along. Understand that you may have the tendency to hire those similar to you. Prepare yourself and fight the propensity to play it safe by sticking with the people who you personally understand the best. The more you keep in mind this potential inclination, the more likely it is that you will realize your bias and be able to fix it before you are too far into the hiring process. It's hard to tell from first impression who could be valuable to your company. The people you need will not always be your favorite applicants, mostly because they will be quite different from you. Consider how even people unlike yourself could benefit the company. Like they say, it takes all kinds to make the world go ‘round. Asking the same interview questions of all candidates, and evaluating them against the same standard criteria helps ensure that you are making apples to apples comparisons of each candidate. It also reduces the chance of unintentional biases impacting decisions. 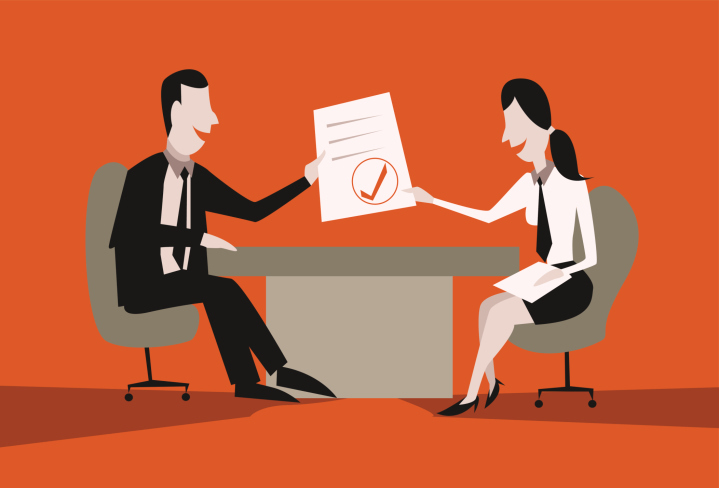 And of course, be sure that the content of the interview tied to job relevant criteria. Avoiding this bias can take some trial and error for many companies, but it is a great thing for employers to be aware of. Acknowledging this trend can significantly increase productivity throughout the divisions in your workplace and even help make the hiring process easier. As discussed, many businesses across the country are encountering obstacles because of this issue. Help your company avoid becoming one of them by focusing on identifying candidates with the skills important for success the job and by ensuring your employees complement of each other’s strengths and weaknesses. Our Guest Blogger this week is Halle Shivler, one of Select International's fantastic summer interns. Halle is a sophomore at Indiana University, and was a great help to our consulting teams over the summer.